On February 3 I went to the 2014 Vinitaly International / Slow Wine event that was held in New York City, where Slow Food Editore (the publisher of the Slow Wine Guide, a guide in English to Italian wines) and Vinitaly (the largest Italian wine fair in the world) once again joined forces and brought together a number of quality Italian wine producers in the two sections of the fair, the one managed by Vinitaly International and the one managed by the Slow Wine organization. Another cool feature of the event, beside the tasting stations of the various producers, was a series of limited admission master classes dedicated to certain specific top Italian wines and organized by the Vinitaly International Academy. Should you wish to read my impressions and tasting notes of the 2013 edition of the event, check out my wrap up post from last year. A few numbers: this year there were 69 producers represented in the Vinitaly International portion of the event (down from the 86 that there were last year) and 70 in the Slow Wine portion (down from 78 last year). The Vinitaly International Academy offered three master classes, each one focusing on a different Italian top wine: Barolo Cannubi; Franciacorta sparkling wine; and Amarone. I was able to attend the Franciacorta and the Amarone seminars. For some inexplicable reason, in the master classes that I attended the wines in the glasses on each desk followed an order that was different from that of the tasting note sheet that was given to the participants such that, for instance, wine number 1 on the sheet corresponded to glass number 7, wine number 2 to glass number 10, and so on: just a big, awkward mess. Anyway, below are my personal highlights of the day, the wines that I liked best from both the master classes and the walk around on the tasting floor, together with the short tasting notes that I could jot down while I was tasting. For ease of reference, I grouped my personal favorites by region, from north to south – enjoy the virtual tasting! 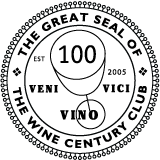 This entry was posted in Red Wines, White Wines, Wine, Wine Reviews, WinEvents and tagged 2014, event, Fair, Italian, Italy, New York, red, review, Slow Wine, tasting, USA, Vinitaly, white, wine on February 20, 2014 by Stefano. Just a quick FYI to let our US-based readers know that, once again, the time has come for the two most important Italian wine fairs in the US: both Vinitaly International in association with Slow Wine 2014 and Gambero Rosso’s Tre Bicchieri US Tour 2014 are upon us. Vinitaly International/Slow Wine 2014 will take place in New York City on February 3, 2014 from 9:30am to 5:00pm at the Metropolitan Pavilion, 125 W 18th Street. Registration is limited to members of media and trade and is available on the Vinitaly International Website, along with the program of the event itself and that of the master classes. Are you curious how the event was after all? Check out our post with the full coverage of the Vinitaly International/Slow Wine NYC 2014! Should you wish to read my summary of Vinitaly International/Slow Wine 2013, please check out my post from last year. 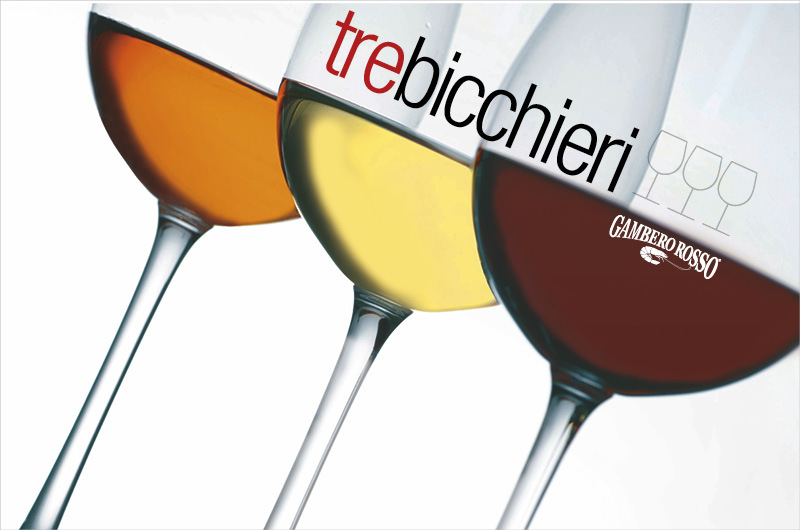 Gambero Rosso’s Tre Bicchieri US Tour 2014 will be in New York City on February 6, 2013 from 2:00pm to 6:00pm at the same venue as Vinitaly International/Slow Wine 2014, the Metropolitan Pavilion, 125 W 18th Street. Even here, registration is limited to members of media and trade: more information is available on Gambero Rosso’s Website. Are you also curious about how this event turned out to be? Check out our post with the full coverage of Gambero Rosso’s Tre Bicchieri NYC 2014! Should you wish to read my summary of Gambero Rosso’s Tre Bicchieri US Tour 2013 – NYC, please check out my post from last year. I will be attending both events with Talk-A-Vino’s Anatoli (as I did last year) and this year we will be joined for the Vinitaly International/Slow wine event by The Winegetter’s Oliver! Should any of you plan on participating, please drop me a line in the comments section: it would be fun if we could get together! This entry was posted in Wine, WinEvents and tagged 2014, event, Fair, Gambero Rosso, Italian, New York, Slow Wine, tasting, Tre Bicchieri, USA, Vinitaly, wine on January 27, 2014 by Stefano. Vinitaly International/Slow Wine NYC 2013 was held in New York on January 28 and I have had the opportunity to attend, with the added bonus of meeting in person Anatoli, the author of the excellent wine blog Talk-A-Vino, and doing the walk around together. Anatoli is a remarkable man with a deep and broad knowledge of wines of the world and it has been a real pleasure spending a day together enjoying the fair, sampling many good Italian wines and comparing notes. If you have never visited Anatoli’s blog, please make sure to make time to check it out and explore the wealth of quality information regarding wines and spirits that he has amassed there because it is really impressive. Also, if you are interested in reading more about this event from a different angle than mine, check out Anatoli’s three-post series on it: Vinitaly and Slow Wine Tastings – Part 1, Just Some Numbers, Vinitaly and Slow Wine Tastings – Part 2, Wine Seminars and Vinitaly and Slow Wine Tastings – Part 3, Wine, And More Wine. This entry was posted in Wine, Wine Reviews, WinEvents and tagged 2013, Fair, Italian, New York, review, Slow Wine, tasting, USA, Vinitaly, wine on February 9, 2013 by Stefano.